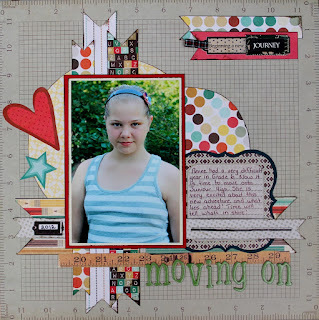 Reveal Day at Scrap Our Stash today! The theme for this month is Time Will Tell. I chose to do a layout about Renee. She had a very rough year in Grade Six and is very happy to be moving on from elementary school into Juniour High. I hope it will be a great experience for her. She did learn alot and grow as an individual from her trials during the year. I know from experience that Juniour High can be very difficult as well. I hope from all the things that happened during Grade Six that she has matured and learned some life lessons. Time Will Tell what will happen during the following year, but I'm hoping for only good things! I dug some Fancy Pants papers I had in my stash to do this layout. Really fun school patterns and colors in this collection! I also found some ruler stickers hanging around. Who knows when I bought those? LOL! 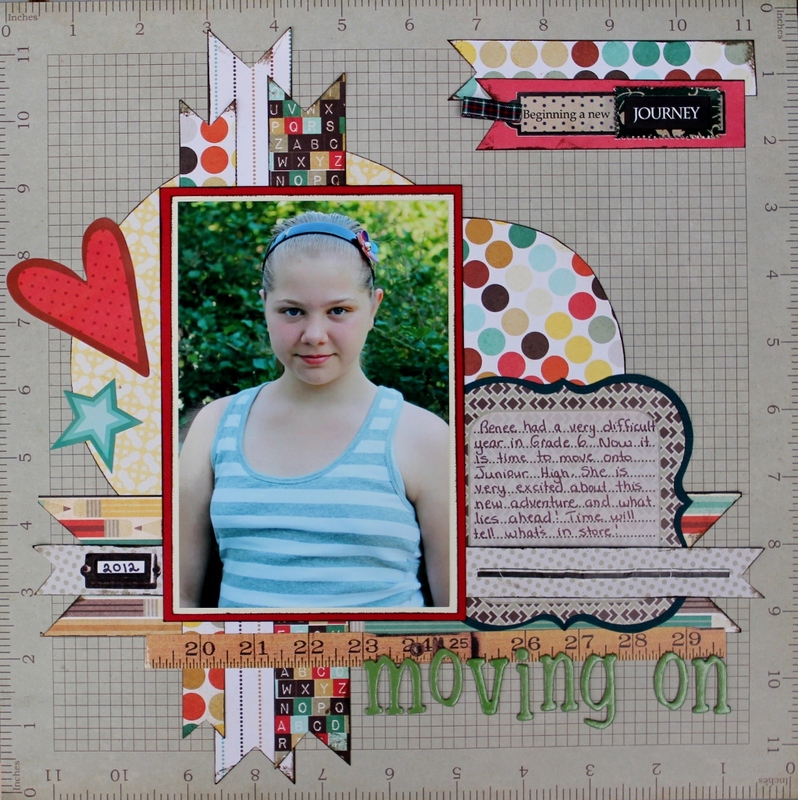 Love this combo of papers...and pretty photo of Renee! Yes, my dd also had some trials in Grade 6. sigh. I don't know if anyone escapes them, especially in jr. high. Let's hope for the best. What a perfect line for this layout. I love the paper and the big heart. Reminds me of Renee..a sweet girl with a big heart. Now for those ruler stickers... ummm I have those too, so we must have gone shopping together, lol.